Earth Day Events in Orange County this weekend? Here's our favorites! Posted by Teresa Mihelic HelpDesk on Thursday, April 19th, 2012 at 8:02pm. 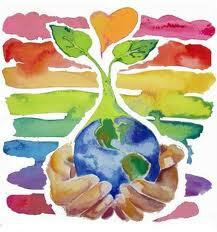 Earth Day 2012 is coming up and there's a list of events in Orange County. Here's our favorites. Fair & Arts Festival at Modjeska Canyon: Kids face painting, wildlife sanctuary, live music, BBQ, guided hikes, birding classes, hands on ceramic pottery, Earth Day activities and more. 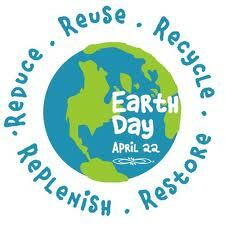 Saturday, April 21 at 10 a.m. at Tucker Wildlife Sanctuary, 29322 Modjeska Canyon Rd., Silverado. Price: Adults $5; Children under 12 free. Earth Day at Chino Hills State Park: join Hills for Everyone, State Parks and Sempra Energy for an Earth Day event on Saturday, April 21 at 8:30 a.m. at Chino Hills State Parks, 4500 Carbon Canyon Rd., Brea. Free. Ritz Carlton - Dana Point: 10 a.m. to noon: Explorer, environmentalist, educator and film producer Jean-Michel Cousteau, son of famed ocean explorer Jacques Cousteau, will be the special guest at a beach cleanup at Salt Creek Beach in front of the resort. San Clemente - park near the Pier: The San Clemente Watershed Task Force will present environment-oriented demonstrations and displays, plus live entertainment, children's crafts and giveaways from 10 a.m. to 2 p.m. at Parque Del Mar near the pier. Orange County Market Place, Costa Mesa: Irish Spring Earth Day Fest. Everything from earthworm and food composting, zero waste zones and recycling auto windshield art to champion Irish dancers and Irish potatoes. From 10 a.m. to 3:30 p.m. at Orange County Market Place, 88 Fair Dr., Costa Mesa. Price: $2 and kids under 12 free. San Clemente - San Mateo Campground: Earth Day at Panhe will feature exhibits and performances by members of the Acjachemen American Indian tribe from 10 a.m. to 4 p.m. at the San Mateo Campground at San Onofre State Beach park. Admission is free, and the public is invited. Note: also this weekend is the Third annual California Wine Festival – Orange County offers a Sunset Rare & Reserve Wine Tasting on Friday night at the Dana Point Yacht Club and a Beachside Wine Festival on Saturday afternoon at Doheny State Beach. This has nothing to do with Earth Day, but it so much fun, is worth mentioning.